The key to being with fear is in contacting what is here now, rather than trying to push it away. Here’s a story from the river that helps us understand that. In kayaking, you learn about what is called a keeper hole. It’s a swirl in the river that catches a boat or a body and pulls it down under the water. You can drown because you get stuck in that swirling current and you can’t get out of it. If you get caught in a keeper hole, the only way out is actually to dive right into the center, down as far and deep as you can, toward the bottom, because if you get to the bottom you can swim out the side of the swirl. So you do the opposite of what your instincts tell you to do. Your instinct, of course, is to fight your way to the surface. But it won’t work; you’ll keep getting pulled into the hole. No, you have to dive down into the hole. The training in facing fear is to directly contact it…to lean right in. This is not something to do if your fear is from trauma. It could be too overwhelming. If you are dealing with trauma, you might need someone to work with you on that fear. So you might try finding a thought that brings up fear, a mild or moderate fear, and letting yourself feel the sensation. Breathe right into the place you feel the fear, really letting yourself experience it for a moment. On the out breath, let the fear disperse into the vastness of space around you, or the ocean you are part of. See and feel the fear moving out into that larger space. 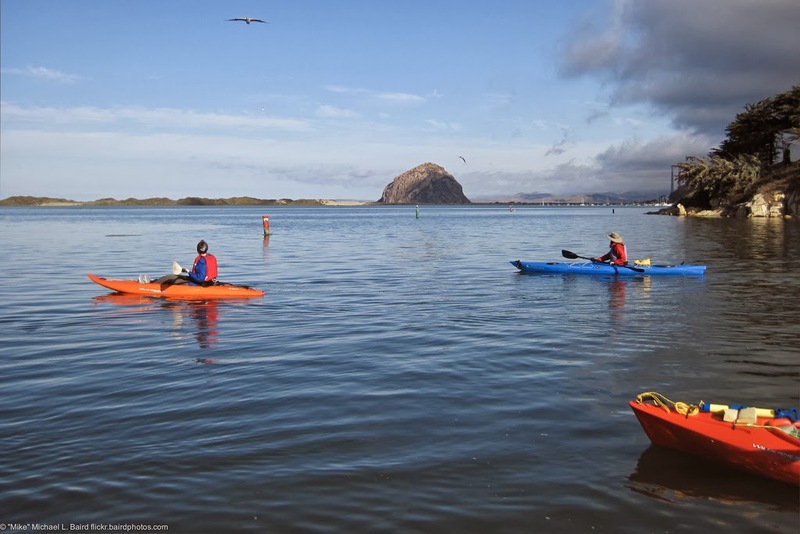 When you are kayaking on the ocean, or on a large lake, you can sense yourself as part of that spaciousness. Allow the fear to disperse into the spaciousness. You might find that it is possible to be with the fear, rather than push it away, when you are aware of your oceanness.